We take care of business banking, accounting and compliance, so you can focus on your customers from anywhere in the world. 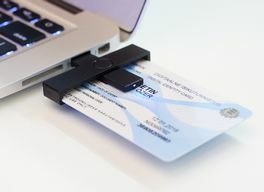 Government-issued smart ID-card which provides digital identification and authentication. Secure online banking with multi-currency support and state-backed guarantees on deposits. LeapIN has an operating licence no. FIU000142 for "Business and other management consultancy". Trusted business entity Companies registered with us in EE are regarded as transparent and trustworthy. Presence in the EU market Become a member of the EU business community. Take advantage of the cross-border business opportunities. Paperless online adminis­tration Paperwork is annoying. Your last signature on paper will be given upon your digital ID-card pick-up. Simple and fair tax system Enjoy 0% corporate income tax as long as you keep profit earned in the company or reinvest it. Access to international payments International and SEPA payments, payment providers like Google, PayPal, Braintree etc – we have it all covered. Full remote control You are in charge, remotely & online. No directors or co-owners needed just to make the business appear legitimate. LeapIN's self-service portal is an easier way to manage your business, plus it provides a clear overview of expenses and sales. Tiago is an experienced entrepreneur from Portugal who's been working as a software development consultant since leaving Codeplace in April 2017 - a company he founded with friends in 2014. He discovered LeapIN while looking for an alternative to the setup for solopreneurs in Portugal. They made life difficult with high maintenance costs and unfriendly regulations. "Anywhere I'm located, I can upload my expenses and create invoices easily. It's important that I can keep track of my company, rather than waiting for a monthly update (and sometimes shock!) from an accountant." I don't want the headache of dealing with legal compliance, taxes and subsequent government interference. With LeapIN, I don't have to. Ignacio began his career as a developer working for large companies and governmental departments in Madrid. He enjoyed it, but got tired of working in cubicles so he left his job to become a location independent freelancer. He founded Digital Leaves, which helps others become awesome iOS developers, and he shares his ideas on entrepreneurships and the digital nomad lifestyle on his blog Micropreneur Life. Everything online? A digital card is enough for everything? An e-Resident can have an online business? Luisfer is a skilled Spanish web developer from Germany who decided to make a shift from his full-time job to self-employment. After overcoming huge challenges in his life to become a freelancer, Luisfer still couldn't accept the heavy costs and hassle of German bureaucracy. He shares his thoughts and initial hesitation, the extent of his research and his love for Estonia's digital society where he finally incorporated his business. "I went to LeapIN headquarters where everything got done with a high level of efficiency and speed, while having a good time in between. I was welcomed by everyone in the team." As LeapIN takes care of my company management I've now been able to become involved in multiple new projects. "A boxed package like theirs - a step by step guide to dealing with company setup, administration, filing taxes and so on… took care of 95% of my company's management. All I have to do is from time to time sign some documents via my digital card reader as an e-Resident." "Simply fantastic - I used LeapIN to guide me along the process and the guys were awesome. For example when I setup my company bank account, it only took 5 minutes!" Read the story of John becoming an e-Resident and our beloved customer from our blog. How could I keep my digital marketing business operating from within the EU if the worst (Brexit) happened? Dirk is one of an increasing number of British professionals who are concerned about the impact of Brexit and are turning to e-Residency of Estonia - and LeapIN - so they can continue doing business inside the EU. "Almost six months on I have a company registered in Estonia that is up and running, and that runs in parallel to my UK business." "Having been through the whole process, for me it's a no brainer. It's simple. It's exceptionally cost-effective. It's the future." Read more about Dirk's thoughts from Techfruit. Easy setup and full administration. Fast and innovative approval process. Easy setup and full administration. Online. Gain customers and momentum by grasping new business opportunities in Europe and starting your cross-border business online with LeapIN. LeapIN focuses on the most optimal business structure to fit your needs and optimize the setup process and cost efficiency of your company. LeapIN delivers all the tools and services needed to access and remotely manage your cross-border business operations. What's more, we do it in a secure, cost-efficient, and hassle-free way. Fast and innovative approval process. No queues. Quick setup of an international bank account for cross-border transactions. Increase revenues by integrating your business with international payment providers. Enjoy trusted online banking channels by our banking partners and payment service providers. A fully functional MasterCard is issued by our banking partner to all LeapIN customers with a traditional business bank account. Your money is deposited safely at our partner bank with the Estonian state-backed guarantee of 100 000 EUR on all deposits. Manage your banking and keep your assets in euros to minimize the possible currency risks. Complexity made simple. No paperwork. We assume you are honest and will pay your fair share of taxes in one of the simplest tax systems in the world. LeapIN includes a hassle-free and seamless accounting solution allowing you to focus on running your business. One central solution to cover all your business needs. 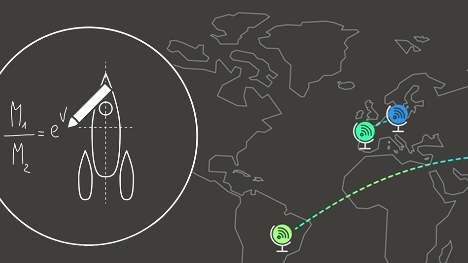 LeapIN brings together the complete set of functionality and tools to run your business remotely from day one. We operate as a single point of contact for everyday company management issues and solution-related questions. You don't need to be an accountant or a lawyer to run a company with us. LeapIN will take care of all the paperwork and annoying bureaucracy. Complete our free sign up and we'll gently guide you through the whole process. LeapIN was designed keeping users in mind, so all the complexity is made simple, and annoying administrative tasks are solved in the background. Estonia has launched an awesome digital citizenship concept called e-Residency, open the world over. You apply online and once your application is approved, you will receive a smart ID-card which you can use to digitally identify yourself, authenticate a wide range of secure services, and sign documents and transactions. The official e-Residency site. The hardest part here is to decide on the name of your company. After that is done, a wizard will guide you through the simple setup process. The unofficial world record for setting up a company online is 18 min. You can beat that! In order to get a traditional bank account, you currently need to travel to Estonia for a face-to-face meeting and a background check. To start remotely, we recommend you to setup a payment service provider bank account with Transferwise Borderless. Please check the Banking section from our FAQ for more details and alternatives. Lay back and enjoy the moment. We will prompt you when an invoice is received or when taxes have to be filed. Ha, that was a joke! You don't have to file your taxes, as we do that for you. You just have to confirm the reports every now and then. Whenever you feel like checking up on your company's data, log in to our self-service.